HOUSTON, TX – November 7, 2017 – Chief Outsiders has earned the No. 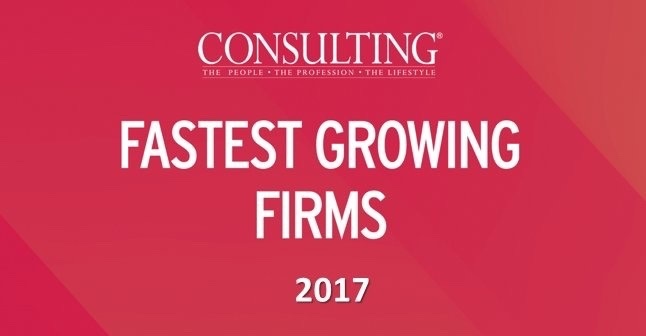 27 spot on Consulting Magazine’s annual list of the nation’s fastest growing consulting firms – a remarkable achievement in its first-ever appearance on the list. The ranking was revealed at a gala awards dinner last week at New York’s Yale Club. Chief Outsiders, a nationwide “Executives-as-a-Service” firm comprised of more than 55 fractional Chief Marketing Officers engaged from coast-to-coast, is one of 75 companies to have met the stringent criteria to appear on the publication’s annual list. Chief Outsiders CEO Art Saxby attributed the firm’s explosive results in 2017 to increasing demand for its services within private equity. “We recently have doubled the number of PE-owned businesses that we have served, making this the fastest-growing segment of our client base,” Saxby said. “2017 has been a bellwether year for Chief Outsiders – in addition to the growth in the PE segment, we recently celebrated the company’s 500th client – no small feat for a company that launched less than a decade ago, in the shadows of the recession,” Saxby added. 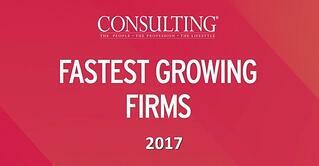 In addition to the Consulting magazine honor, Chief Outsiders this year has also been recognized by Inc. magazine as one of its 5,000 fastest-growing U.S. businesses for the fourth consecutive year, and its PE Blog -- designed to deliver insights to private equity executives – was chosen as one of the top 100 such blogs in the country by Feedspot.